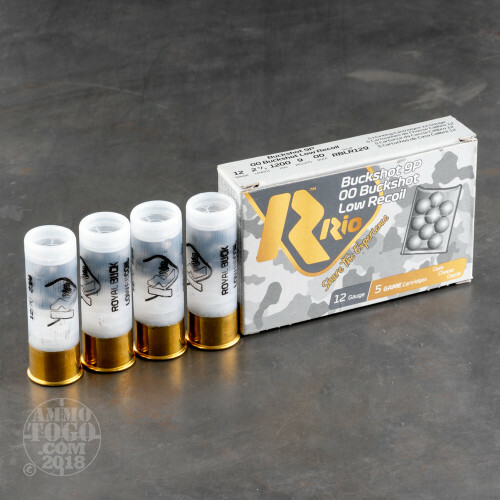 This 12 gauge ammunition from Rio Royal is a low recoil load that excels at home defense and on the range. 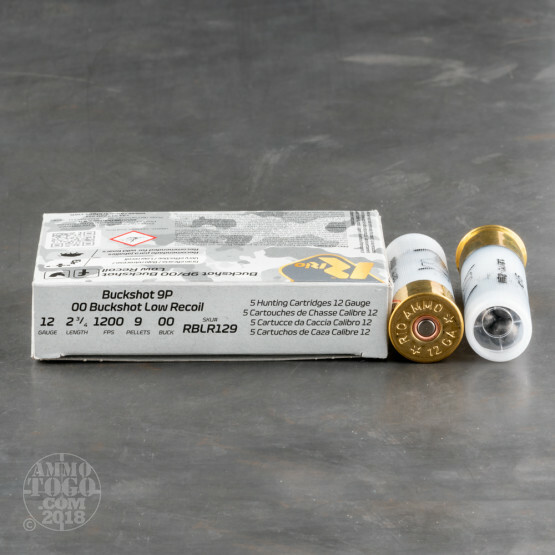 Each 2-3/4" shell in this box of 25 fires nine pellets of 00 buck at 1,200 feet per second, about 10% less than a full power load. 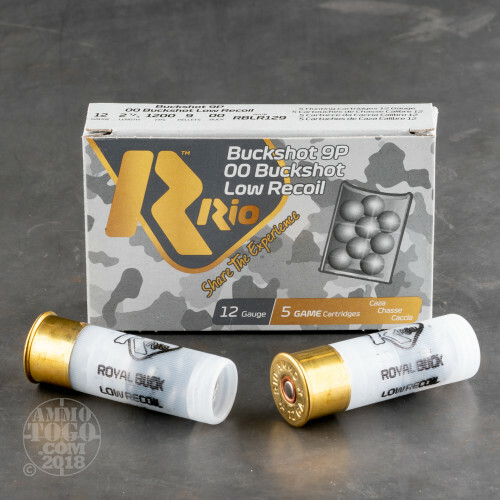 This results in shorter recovery time between shots and a reduced risk of overpenetration, as well as reduced shoulder fatigue when firing a large number of shells. YUP JUNK.. SHOULD BE ABOUT $8 A BOX OF 25...THESE SLOPPY OUT OF ROUND / SQUARE, POOR QUALITY AND APPARENTLY / RELATIVE FACTORY 2NDS DO SHOOT O.K. AND WOULD WORK FOR DEFENSE...BUT "SHAME" ON RIO, MADE IN SPAIN. 20+ years military and L.E, my opinion, this stuff is absolutely junk! Pellets are all over the target even at 10 yards. Spend a little more money and get Federal. 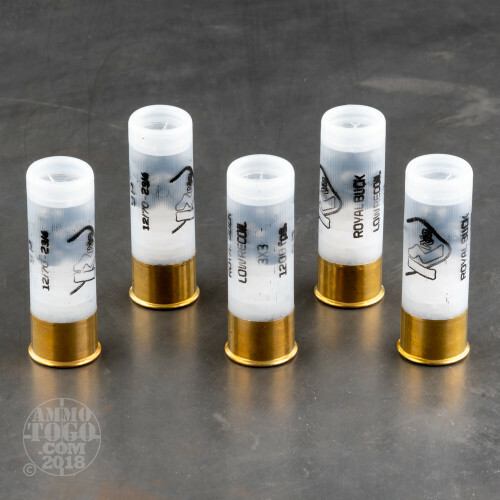 I had the pleasure of firing these rounds recently at the range I use and they were a joy to shoot. Having injured my shoulder in Vietnam, it had never healed correctly causing me to use a pad whenever I used my shotgun. But utilizing these low recoil shells eliminated the flinch I had developed, allowed me to not need my pad and it actually improved my aim. I highly recommend these rounds for beginner shotgun users and those who are injured. I give it 'my' ***** rating!